Great opportunity on this home, priced to sell. All 3 bedrooms have a 2 shelf cupboard and 5 drawers built into the wall, which provides for more storage space.The siding keeps the house warmer in the winter and cooler in the summer thereby helping to reduce the electric costs. 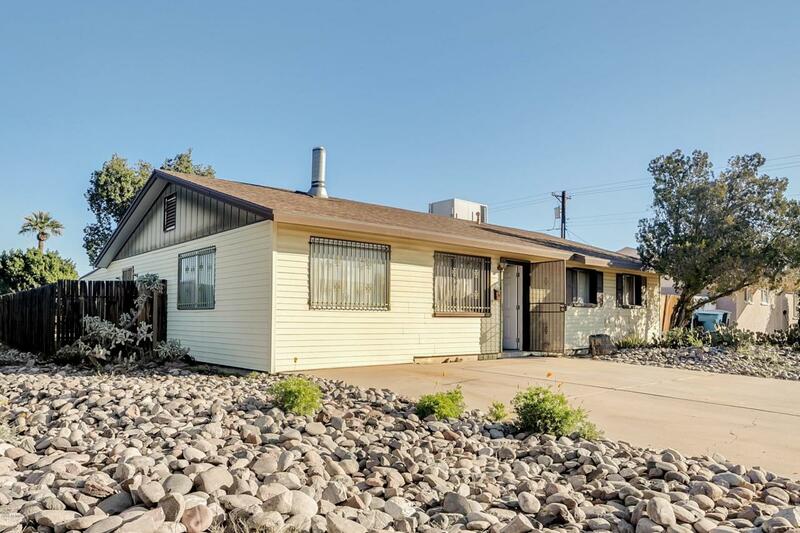 Home is on a corner lot, carport was converted to a large bedroom with private entry. Part of the patio was enclosed and converted to for storage / workshop, it also has its own entry. Same owner occupied home for over 40 years.